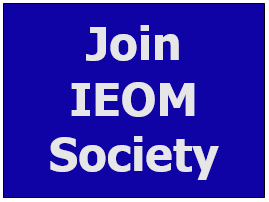 IEOM Society is organizing the IEOM International Conference on Operations Excellence and Service Engineering in Orlando, Florida, USA during September 10-11, 2015. The main theme of the conference is “Achieving and Sustaining Excellence in Quality, Service and Operations”. 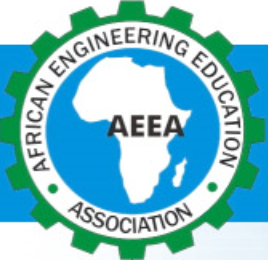 The conference provides a forum for academics, researchers and practitioners to exchange ideas and recent developments in the field of industrial engineering, service engineering, manufacturing engineering, systems engineering, operations research, engineering management, operations management and operations excellence. The event will foster networking, collaboration and joint effort among the conference participants to advance the theory and practice. Submission Deadline Extended to June 5, 2015. All full papers will be subjected to double peer review. Accepted papers will be published in the CDROM Proceedings and indexed in INSPEC and EBSCO. Selected paper will be published in special issues of journals. With the great success of Global Engineering Education Series of last IEOM conferences, 2015 IEOM Orlando Conference will have a dedicated session for the Global Engineering Education where distinguished speakers will discuss the readiness of engineering graduates for workforce around the world. A special focus will be given for the Engineering Education in Americas. Thirty six featured speakers will be from various part of the world to address engineering education challenges and opportunities. Each speaker needs to submit a title of the talk, abstract, a short bio and photo. All will be included in the 2015 IEOM Orlando Conference proceeding and in the color printed program booklet. If you are interested to deliver a talk as a distinguished speaker for the Global Engineering Education at the 2015 IEOM Orlando Conference during September 10-11, 2015, please contact Dr. Anwar Rahman rahman.industrial@gmail.com or Dr. Ahad Ali aali@ltu.edu (IEOM Orlando Conference Chairs). For questions, please contact at conference@iieom.org. IEOM Papers will be indexed in SCOPUS. For website advertising, please contact conference@iieom.org.